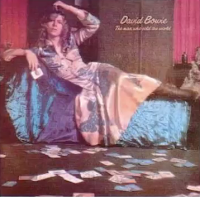 The original music for "Space Oddity" from Bowie's film promotional film "Love You Till Tuesday," which was originally released in 1969 and re-released on DVD. It is a rare and odd version of the song with a quirky video to accompany it with vintage anti-special effects. (David BowieVEVO) "Black Star" released last Friday on Bowie's 69th and final birthday. 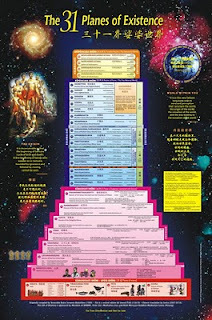 Now he's returned to "heaven" (sagga, which is no kind of permanent place as we are taught in the monotheistic conception) -- the celestial world from which he descended with most of his space DNA apparently still intact. He was, after all, the Man Who Fell to Earth. (David [Jones] Bowie) "Space Oddity" is Bowie's second best song ever, though not his most popular. That distinction goes to the dud "Let's Dance." The best song has to be "Ashes to Ashes," but "The Man Who Sold The World" is pretty good, even after Nirvana borrowed it. Of course, the morbid and somewhat morose "Dark Star" may be recognized as his best work (along with "Fame") in the time to come. (EMI Music) "Ashes to Ashes" during Bowie's more trendy cross dressing phase, which lasted most of the British rocker's career. "Why do people have to die?" Oh to be like Ven. 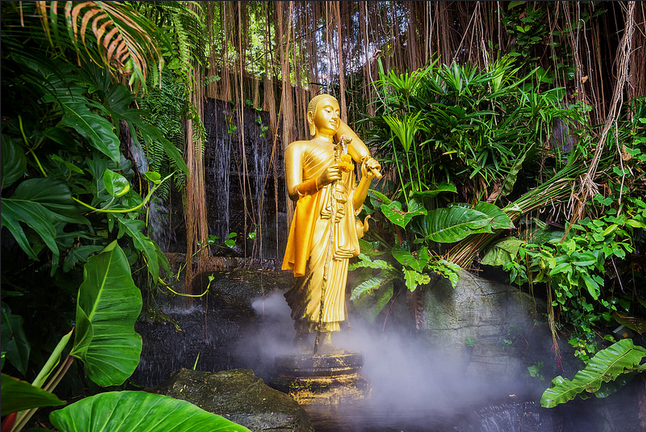 Sivali, foremost in good karma (Mike Leske, Wat Saket/flickr.com). 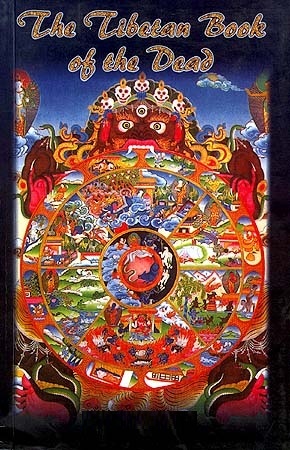 Dreadful samsara (Wheel of Life) caught in the jaws of Death (BuddhaChannel.TV). One glib answer, true as it may be, is that, What death? If by "death" one means the shedding of this karma-born body, what else did you expect. Of course it's going to die. They're all dying! They're bodies. That's how it is with materiality -- the interplay of the four characteristics of matter. 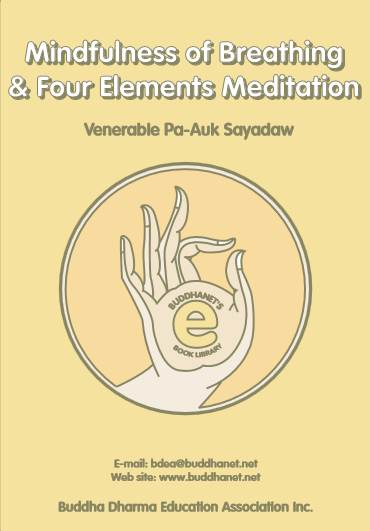 See the book Four Elements Meditation for a direct experience of this reality. But those elements did not combine out of chance, not at all. They came into being due to the power of karma. No "being" came into being, which is impossible for people to understand. (See anatta or the Doctrine of Egolessness). But some thing, some impermanent, disappointing, impersonal aggregate came into being at some point and passed out the very next moment. And something else almost, but not quite, exactly like it replaced it -- and so on, and so on, in countless succession of phases. This is what we cling to, call a person or personality, mourn the loss of. It is not at all what it seems to be. Rebirth as a nonwhite female. But think of the stream -- that succession of parts both physical (Four Elements or Characteristics) and psychological (four aggregates of "mind" or nonphysical "software," as it were. The Buddha discussed them in detail as the khandha (Sanskrit skandhas) or "Five Aggregates of Clinging." We cling to them in ourselves and others. Let go. They do not belong to us. Let go and see the liberating truth. The truth will set us free. (EMI Music) David Bowie's ode to another inhabited world in space: "Life on Mars?" Anyway, this conglomerate we called "David Jones or David Bowie or Ziggy Stardust" is still a going concern. Sure this version is out of time, but what is still going on is the impetus for it. What comes a moment after death? Rebirth. The last moment of consciousness is the rebirth linking consciousness. It does not take 49 days as one often hears because one is instantaneously in another body, a deva or naraka subtle body, what we might call a ghost (gandharva or preta). One may stay there or go on to yet another rebirth in 49 days after the "intermediate state" of the Bardo. 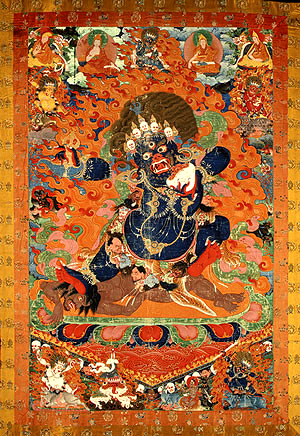 (See the Bardo Thodol for an altogether Himalayan Vajrayana Buddhist conception of the first two months of the afterlife). But what if I don't "believe" in rebirth or reincarnation? It doesn't matter; you'll see it just the same. If you want to believe but just can't, look into the scientific research of this common phenomenon and the work of numerous American researchers like Dr. Ian Stevenson. Anne Frank is alive again and not Jewish this time, as is Edgar Cayce, who is very much New Age not Christian like he was. There are countless worlds on 31 planes. Just because ULTIMATELY there is no self (ego, atta, indestructible essence) does not mean there is no rebirth. There is rebirth -- rebirths without end, countless, unimaginable rebirths. Rebirth is the problem. 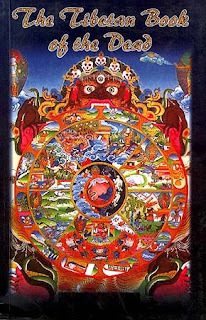 This whole samsara is a succession of rebirths of all kinds. It is based on ignorance, craving, and aversion, which give rise to suffering because of delusion, greed, and hatred/fear. 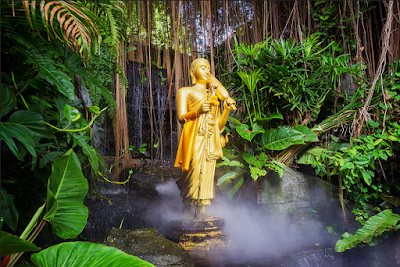 If, the Buddha explained, greed and hatred and delusion are at the root of suffering (unsatisfactoriness, disappointment, woe, and misery), what is the antidote? Nongreed, nonaversion, and nondelusion are. They are otherwise known as unselfishness (generosity of spirit), altruistic love (boundless compassion), and wisdom (liberating insight). I am not a deva. Diva, yes, but not a deva. Or maybe I am as I was in space (BBC). Now, this "David Bowie" person seems to be more akasha deva than indigenous earthling. We all came from space, and some of us not that long ago. If ashes go to ashes, oftentimes devas return to the many deva-worlds. 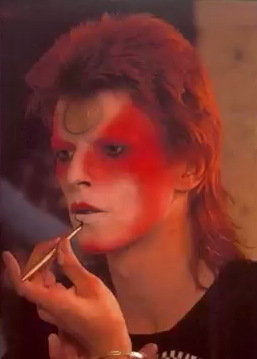 Did Bowie keep the Five Precepts? That would win him rebirth in the human plane again, which is not at all limited to this planet. "Humans" (manussa) inhabit large parts of the galaxy and, goodness knows, probably other galaxies as well. Time has lasted for a long time, aeons (kalpas) and aeons. The macrocosm is eerily like the microcosm, space and the kalapa (space.com). Rebirth has gone on for a long time, so long that one cannot find a time when it was not going on. And though one cannot look back and locate a time when ignorance wasn't giving rise to everything else that leads up to yet another rebirth, the end of that painful process can be discerned, can be realized. But people and devas tend to fear this good news. We want rebirth and more of it, "eternal life" if we could get it. We cannot because even a lifespan of a great aeon, a maha kalpa, is broken up into many tiny "deaths," the discrete moments of becoming. There is no being, no just-existing. Rather, there is only becoming. And it will go on endlessly until we wake up. Those who refuse to wake up, who insist on being and more being and eternal-being, clinging to the impossible, will go right on dreaming with all its attendant suffering. Thanks to the teachings of fully enlightened beings -- samma sam buddhas -- there is an end of suffering. That awakening is called bodhi, "enlightenment," and that ultimate peace is called nirvana, "complete liberation." 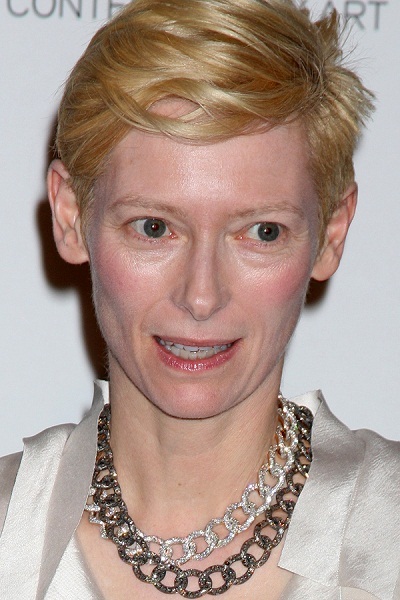 So for a long time there will be a David Bowie. We guess he is currently back on Mars, safe underground there, reborn as some kind of humanoid or spirit being, angelic in his way, likely a gandharva with penchant for music and entertaining the other akashic devas. So cheer up! Few are the living, many are the dead. Be concerned with the living. (You yourself, after all, are still among the living. Accrue some good karma, cultivate merit. It will follow you for a long time much to your happiness). 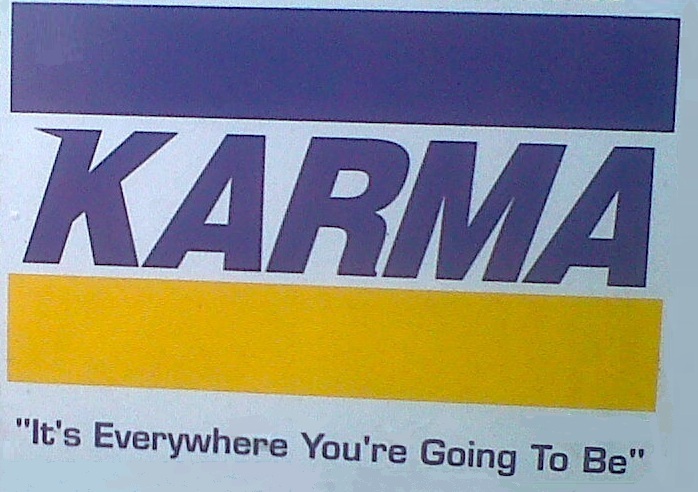 "Karma: It's Everywhere You're Going To Be." President Joe once had a dream: The world held his hand, gave their pledge. So he told them his scheme for a Saviour Machine. They called it the Prayer; its answer was law. Its logic stopped war, gave them food. How they adored till it cried in its boredom: Please don't believe in me, please disagree with me! Life is too easy; a plague seems quite feasible now Or maybe a war, or I may kill you all. Don't let me stay, don't let me stay. My logic says burn, so send me away// Your minds are too green, I despise all I've seen/ You can't stake your lives on a Saviour Machine.// I need you flying, and I'll show that dying Is living beyond reason, sacred dimension of time. I perceive every sign; I can steal every mind. Lazarus (left) dressed in gauzy linen like Bowie is roused out of sleep, raised from the dead, in a miracle Jesus is said to have performed in ancient North Africa (The Raising of Lazarus, 1857, by Léon Joseph Florentin Bonnat). David Bowie was probably not a believer in rebirth, reanimation, reincarnation, the relinking consciousness the Buddha and Jesus taught. After all, all mention of it has been removed from modern Christianity, and the necessity of being "born again" to get to heaven has been given another meaning. 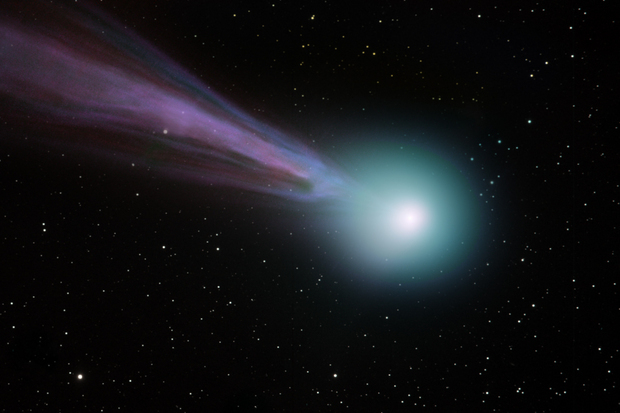 (See the writings of Edgar Cayce for a discussion of this and biblical evidence of lingering clues in the Bible). 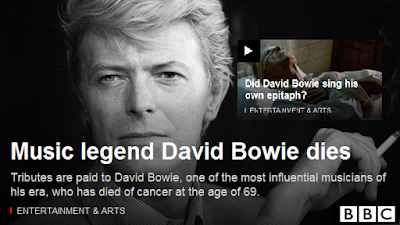 No, Bowie was an unbeliever...or was he? 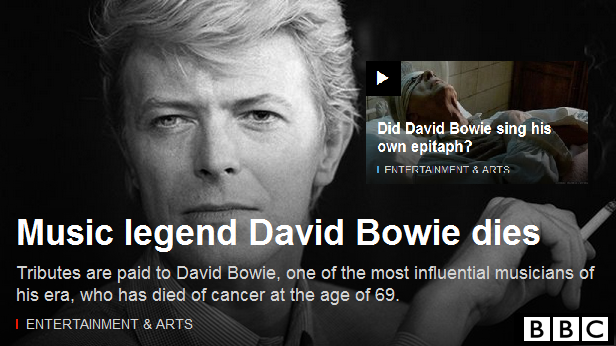 Why did he release a song called "Lazarus" just before dying? 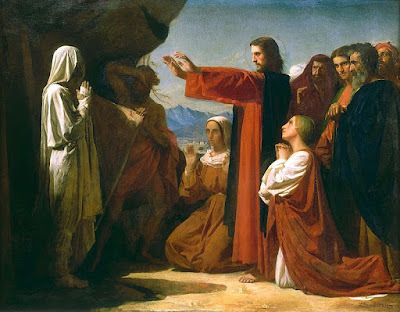 (Lazarus of Bethany in Christianity was dead but was famously reanimated, brought back to life if only to show that "death" is not what we think it is. Life goes on and on and on). Why is rebirth not "reincarnation"?